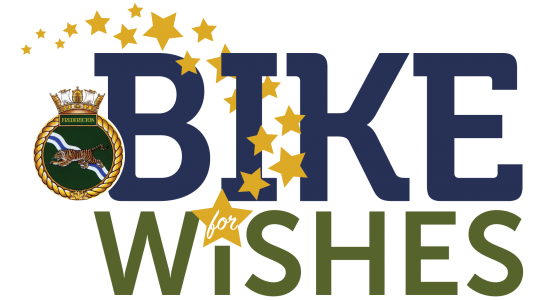 We are very excited to announce the 9th Annual HMCS Bike for Wishes fundraising initiative will take place from August 6th to 11th, 2017. Each year members from the Canadian Navy Frigate HMCS Fredericton cycles across our province in efforts to raise funds for the Children’s Wish Foundation. Two teams of approximately 9 cyclists travel on separate routes, one taking the North route starting in Miramichi and the other taking the South route starting in Sackville. The teams unite in Fredericton at the end of the week for a final cheque presentation.